Rana Abdul Sattar Khan son of Rana Shamim Ahmad Khan was born on March 2, 1982. He has been elected as Member, Provincial Assembly of the Punjab in general elections 2013. In 2008 general elections, he contested both for National and Provincial seats and opted for National Assembly seat. 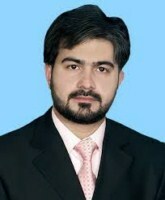 He served as Member, National Assembly during 2008-13. His father remained Member, Punjab Assembly during 1985-88, 1988-90, 1990-93, 1993-96 and 2008-13; and also served as Advisor to Chief Minister during 1993-96. He also remained MNA from 2013-2018 and now is re-elected as MNA in General Elections 2018. PO Ugo Ki, District Sialkot.